Trot home a new best friend! 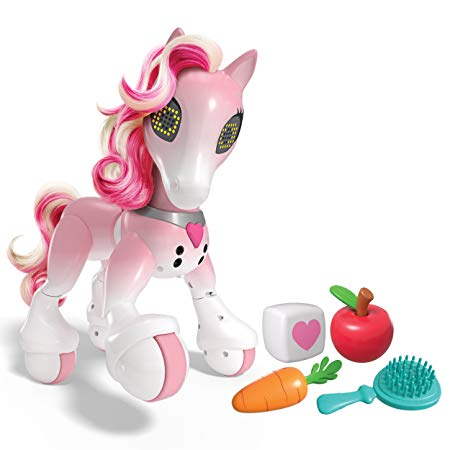 Zoomer Show Pony is a sweet interactive toy who sings, dances and moves just like a real pony! When she performs well, treat her with a yummy sugar cube! She loves to snack on sugar, and may even get hyper and perform her special sugar dance! This little pony’s hair is streaked a stunning hot pink and white. Use the brush accessory to style her for the big show!